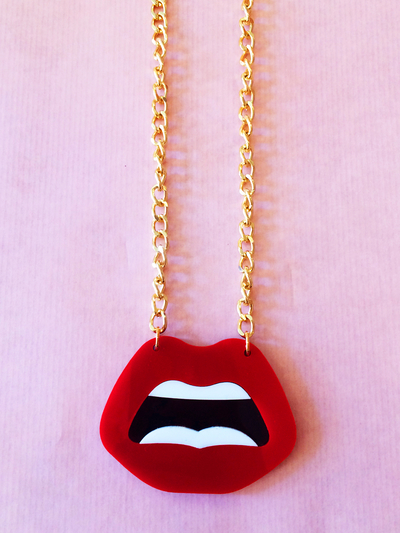 Blå Gungan - webshop design & crafts - Necklace Plastic Fantastic "Mouth"
Home » Jewellery » Necklaces » Necklace Plastic Fantastic "Mouth"
Super Cool 80's inspired necklace with gold chain. A large mouth in plastic. Chain: 65 cm with buckle.